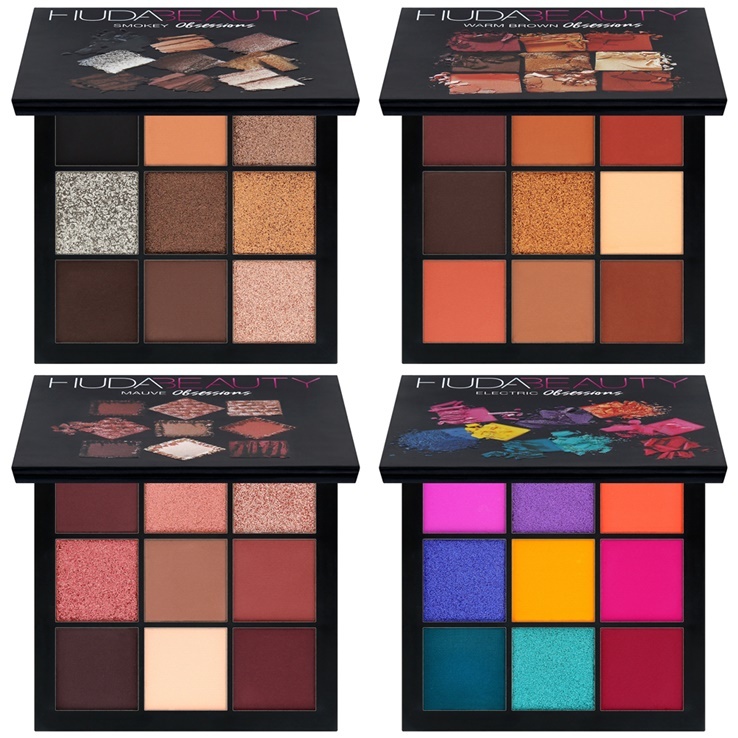 My relationship with Huda Beauty didn't work out especially with its eyeshadow. 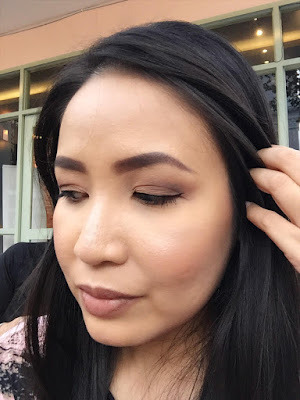 But I gave the Obsession Palette a try, hoping to get a different experience. It didn't disappoint. My decision to buy the palette mainly for practicality. From the first glance, I think this palette is a good travel-size palette. It's a palm size and totally space-saving. Most importantly, it has a good mixture of transition shade, highlights & crease, which makes this palette a basic for endless looks that you can create. This palette is the least popular among all the Obsession range, I think everyone is going for the Mauve and Coral since the rose gold hues are really popular now. But I was going for the practical approach, so I had to choose between the Smokey or Warm Brown. My decision to pick up Smokey is because Warm Brown has all matte shades (except one shimmer). Overall I'm pretty happy with this palette. I've brought it for two trips, to Penang and Johor, it is proven travel-friendly. The large mirror on the lid also helps when the hotel mirror wasn't easy to work with makeups. As you can see from the swatch, the shimmers are true to the color of the pan, but the matte appears a little patchy. This quality is consistent with their full size palette. In this case, I'm comparing with the Rose Gold palette. The only thing that is not consistent, is the origin of the palettes. 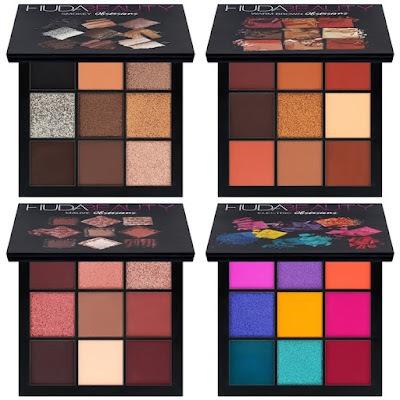 The full-size palette is made in Italy and the Obsession palette is made in PRC. I'm not sure if this bothers you, but I thought you should know it. That being said, you can't really compare the quality of the full size palettes with the Obsession palettes because they come from a different manufacturer. Another difference worthy to be mentioned is that you won't find the shades individually named in the Obsession palette. This is my go-to look when I'm travelling. This palette definitely has its pros and cons. I really enjoy the size. I think it is fun to get those funky colors version such as Electric or Gemstone. You can try out those shades without buying a large palette. Since we don't always use those funny colours, it is fun to have the Obsession palette because it's so petite. The downside has got to be the manufacturer. I was disappointed to find that the Obsession palette isn't manufactured from the same place as their full size palette. But I think I can live with it. What do you think? Would you get this palette?